A few months ago when we were on the way to Killarney the boys spotted a sign on the M9 motorway for the National Reptile Zoo. The adults in the car had heard of it before and had meant to go visit but with the children now knowing of its existence the pester power started. The persistence paid off and this morning we visited. It’s located in Gowran, Co. Kilkenny, 8km off the M9 Dublin to Waterford motorway, which makes it a little over an hour from the Red Cow Roundabout. It started badly. We approached from the Borris side and road sign was obstructed so we drove straight past. Having toured the village we turned back and found it, the road sign we passed had been obscured from the direction we came. We parked in the small carpark outside a building that looked like a large shed, or possibly a hardware store. The adults were apprehensive. The kids less so. Thankfully, our initial fears were overcome in moments. We were given a warm welcome at the reception, some handy tips on checking things out and left on our way. We paid €33.00 entry- the family ticket of 2 adults and 1 child is €27 and €3 per additional child. Immediately beside reception there’s a zookeeper area where there are animal encounters during the day. 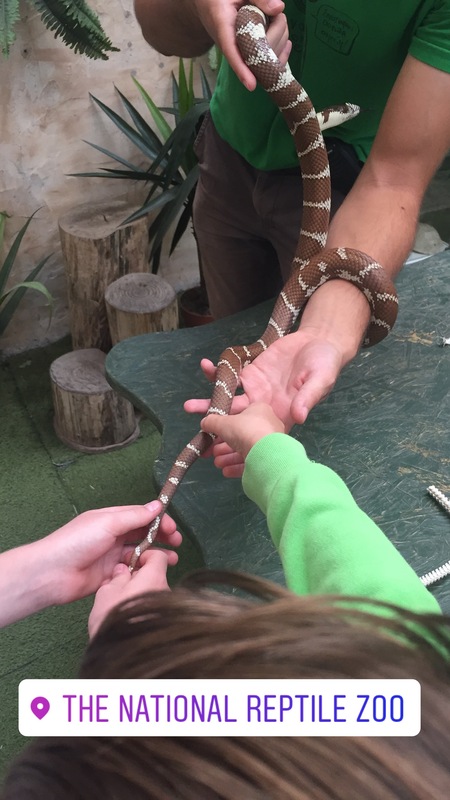 While we were there the kids got to hold a snake and a pet a lizard. and interview the zookeeper with many, many questions about them. 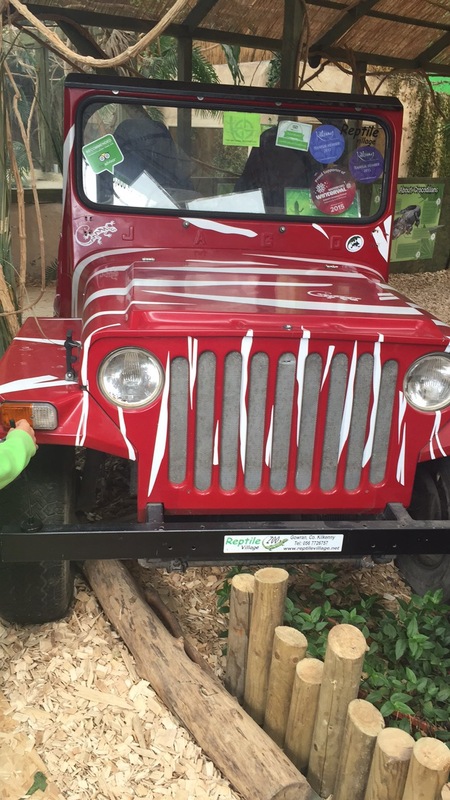 The zookeepers were very knowledgeable and great with the kids. There were information stickers in relation to each of the animals that were pitched really well at the kids (although some did have typos). The information was what the kids were interested in and was presented in a way that they could easily understand. 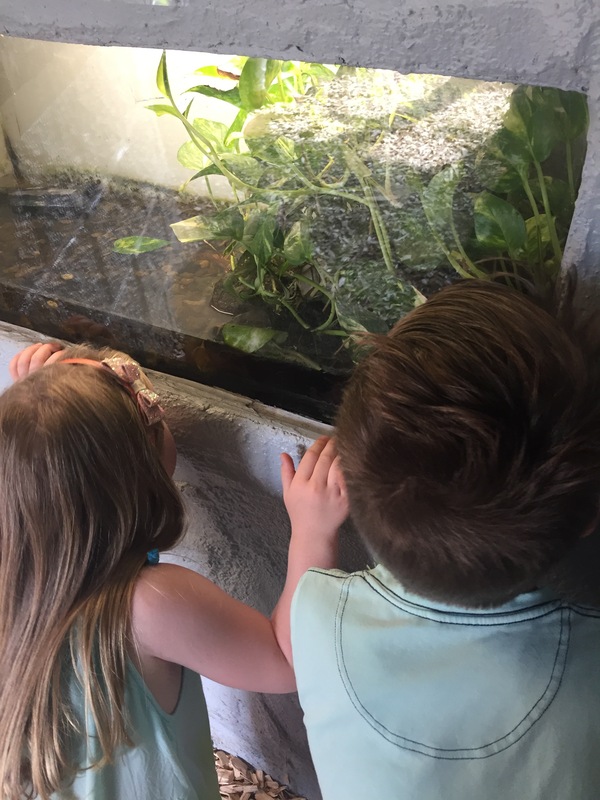 All three kids raced around picking out things they wanted to see and trying to find hidden frogs and snakes in the tanks. Having walked around the two areas inside we then went outside and into the Tropical Walk Through Area. This is a dome structure which has animals roaming freely in tropical temperatures to simulate the Amazon rainforests. 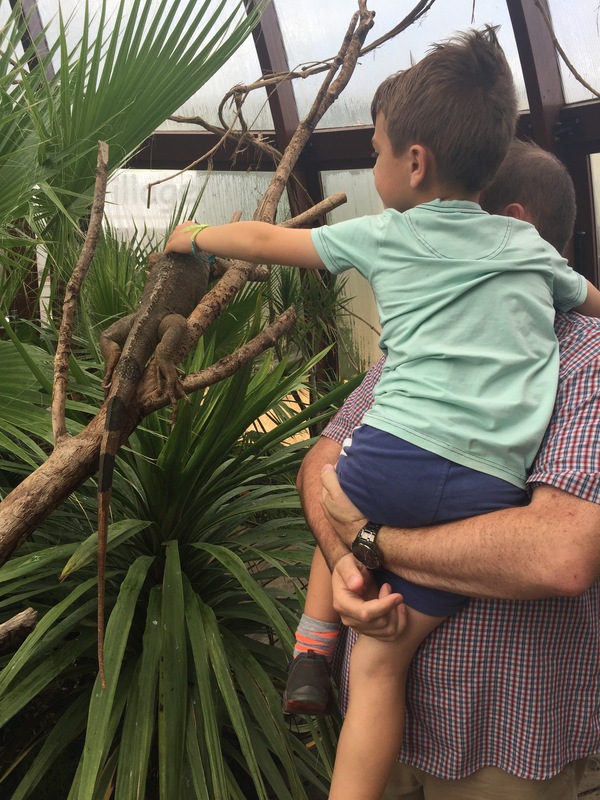 In this area there were large lizards (which could be petted) and tortoises wandering around and tree frogs in the trees. 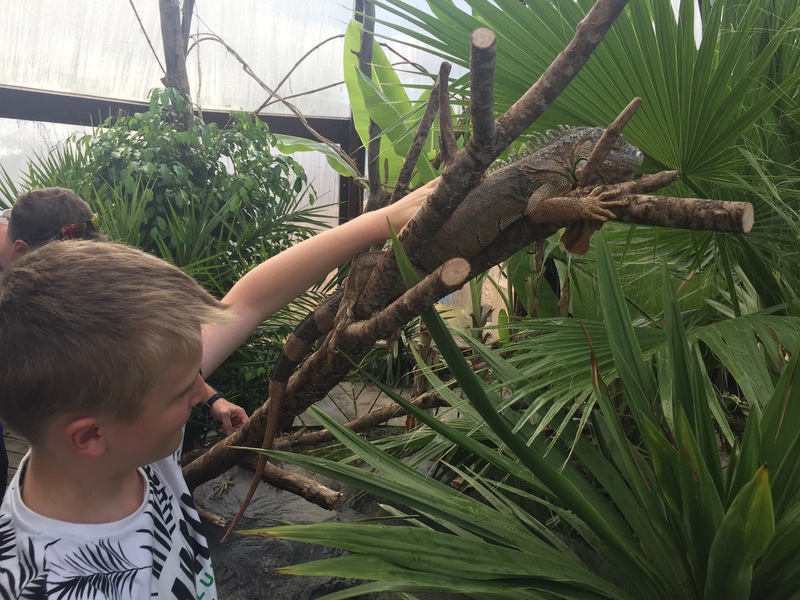 A zookeeper was on hand at all times to answer questions and keep everyone safe and the kids were able to get up close with the reptiles. Due to the heat and humidity there’s only so long that you can really spend in the tropical zone so we went back inside to the play area. 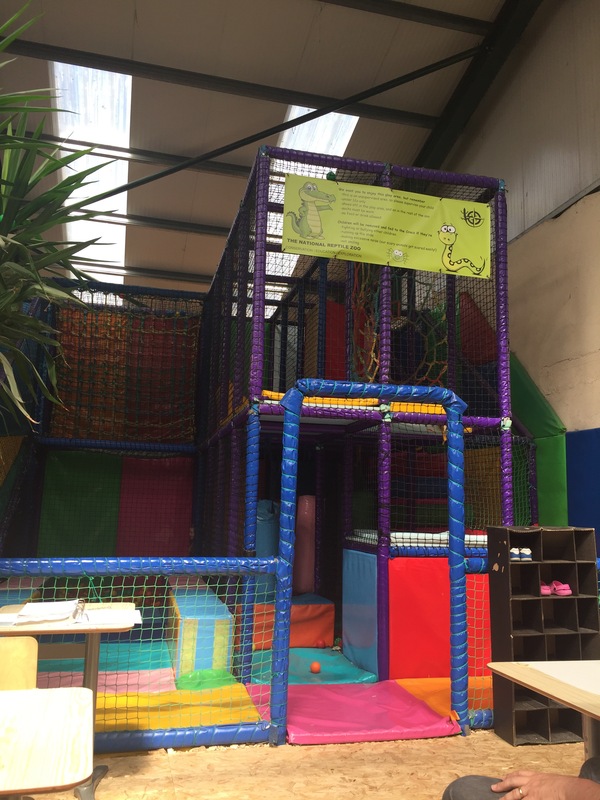 This is small but well designed so the kids had a lot of fun. There’s a small “snack bar” but stock is very limited, and the ice-creams are expensive. Coffee and tea are offered but from a machine so we declined and treated the kids to chocolate muffins and really good cookies for €2/€2.50. There’s a small picnic area outside so you’re encouraged to bring your own. 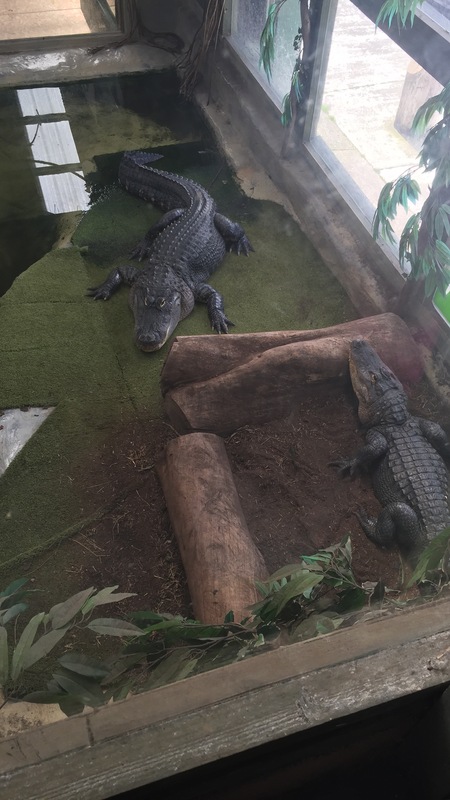 The kids really enjoyed the Reptile Zoo. We saw everything pretty thoroughly and had a short play in the play area and our visit lasted about 90 minutes. It’s a good rainy day activity as everything is indoors. The staff are incredibly friendly, it’s well laid out and educational. I was surprised that it was so small but then I also couldn’t believe how many species of lizard and snake etc were there so I don’t know what I’d really expected! The snack options are very limited so bring your own picnic or eat elsewhere. 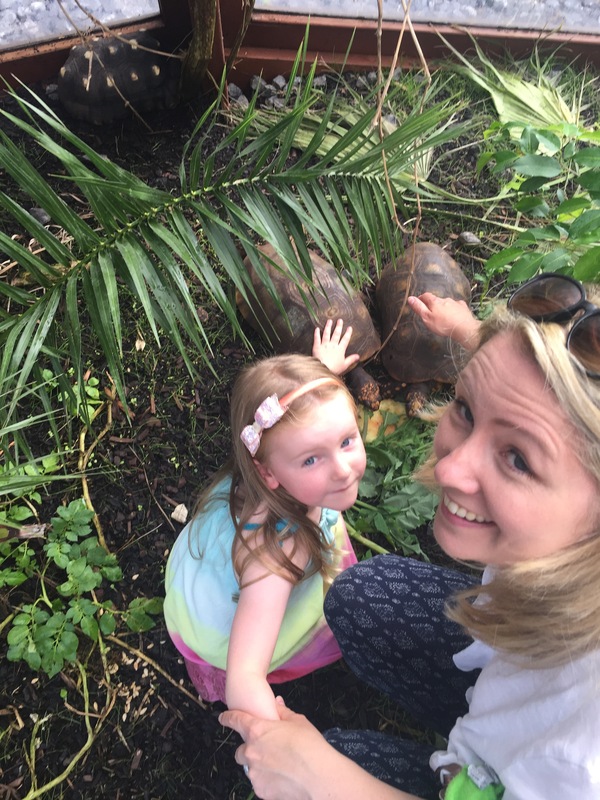 It was perfect for my kids who are aged 4-almost 9 and even my little girl who is quite nervous about animals really got into it and loved touching the lizards’ backs and following the tortoises along slowly. I’d recommend it for a visit, bearing in mind that it’s not somewhere you’ll spend the whole day, but a couple of hours. 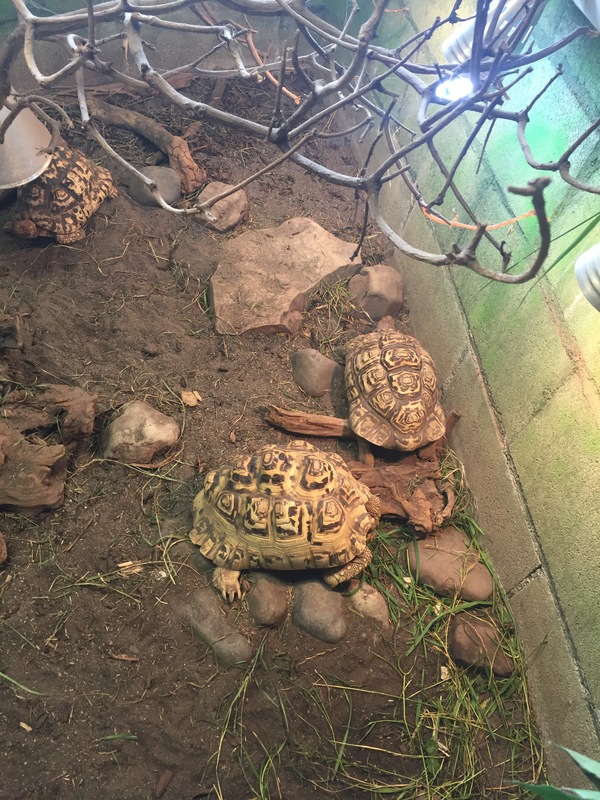 animals, days out, Kilkenny, rainy day, reptile zoo, travel, zoo. Bookmark.